Welcome to the Prototools website and thank you for considering us as the supplier for your next CNC machine. 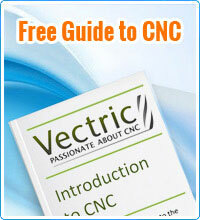 We have been delivering CNC solutions to individuals and comapnies of all sizes for over 10 years now. We are sales agents for CNC-Step www.cnc-step.de, a German machine builder, supplying and supporting their range of CNC machines both in the UK & Ireland. With the CNC-Step range we cover machines of all sizes, from small desktop machines of 400 mm x 300 mm working area up to large steel-frame 3-phase systems with 3000 mm x 2000 mm (and larger) working areas. We are also resellers for MITS PCB of Japan www.mitspcb.com, manufacturers of a range of specialist printed circuit board milling machines, with the FP-21T Precision offering a world leading 50 um minimum feature size. When choosing a CNC machine it is important to get the right advice in terms of suitability for your intended applications, to ensure that your investment will meet both your current and likely future needs. We therefore encourage customers considering a system to get in touch with us so that we can advise you on the suitability of the various machines in our range, but also on the associated software (CAD/CAM) and relevant accessories to ensure you have the right tools for the job. We provide advice prior to the sale, but importantly we are also here to support you after purchase to ensure that you get up and running with your system and to provide any after sales care and assistance both during and after any warranty period. Prototools is a trading style of Puresoft Ltd, a company founded in 2004. The company is registered in the United Kingdom with company number NI051340 and VAT registration number 877597250. Our company address for correspondence is Prototools, 27 Enterpirse House, Lisburn Enterprise Centre, 6 Enterprise Crescent, Lisburn, BT28 2BP. Our telephone number is 0845 226 9050 and email sales@prototools.co.uk.